Dental inlays and onlays can increase the shape and strength of your teeth in a conservative way. If your teeth have suffered from mild to moderate damage, an inlay or onlay may be the ideal fix for you. Inlays and onlays are a noninvasive alternative to dental crown. If you need a treatment that is more advanced than a filling, but the damage is not extensive enough to warrant a dental crown, your dentist may suggest an inlay or onlay. At Discovery Dental, we create beautiful inlays and onlays with composite resin materials. These devices will fortify your teeth against further damage while restoring the natural shape, size, and strength of your smile. Many patients wonder about the difference between inlays and onlays. Dental inlays are only bonded to the center of the tooth. Dental onlays can extend further, up and around the cusps of the tooth. Flawless Fit | Inlays and onlays are made with top-notch materials that will not expand or contract depending on the temperature. Your custom-fit inlays and onlays will always feel comfortable and natural. Realistic | We take pride in creating highly realistic cosmetic restorations. No one should be able to tell the difference between your beautiful dental work and your real teeth. Long-lasting | Inlays and onlays tend to last much longer than other types of fillings. 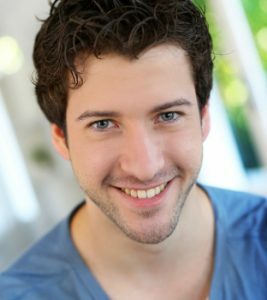 Some patients report that their inlays or onlays have lasted for up to thirty years! Noninvasive | Doctors Virtuoso and Mersha want to keep procedures as simple as possible for their patients. Inlays and onlays require only minimal removal of the tooth’s surface, so that you can maintain the vast majority of your natural tooth. Our friendly practitioners can’t wait to help you create a treatment plan that is tailored to meet your needs. It’s time to get to work on your healthier smile. Call our Discovery Dental office today!